Here are the most recent sample swatches of fabric designs now available in my Spoonflower shop. This Flower Fans print in lilac (2nd from left below) was used as part of the display at Grand Central in NYC this past October for the award Spoonflower was given by Martha Stewart. Spoonflower is the 2013 American Made Honoree in the Tech category - congratulations Spoonflower! 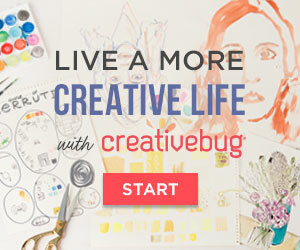 See more at the Spoonflower Blog: Behind the Scenes at the American Made Awards. This is not a "new" print in my portfolio, but I recolored it using brighter, happy colors to set up in my Spoonflower shop and it now needs some companion prints to make an entire collection. I like it so much that I am also planning a bedroom makeover so that I can use it in the beautiful linen-cotton quality and sew it up for a new duvet cover. Of course that means I will also be repainting the bedroom, updating the window shades with a coordinate print and maybe even making some new throw pillows. The redecorating can of worms has been opened! Flower Fans print available at Spoonflower. 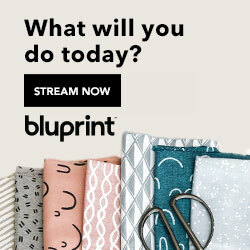 Below are two additional collections also available on Spoonflower, Vintage Oceana and Cocktail Flower. Three of the prints were designed specifically for Spoonflower weekly design contests and then I decided to design print collections around them. 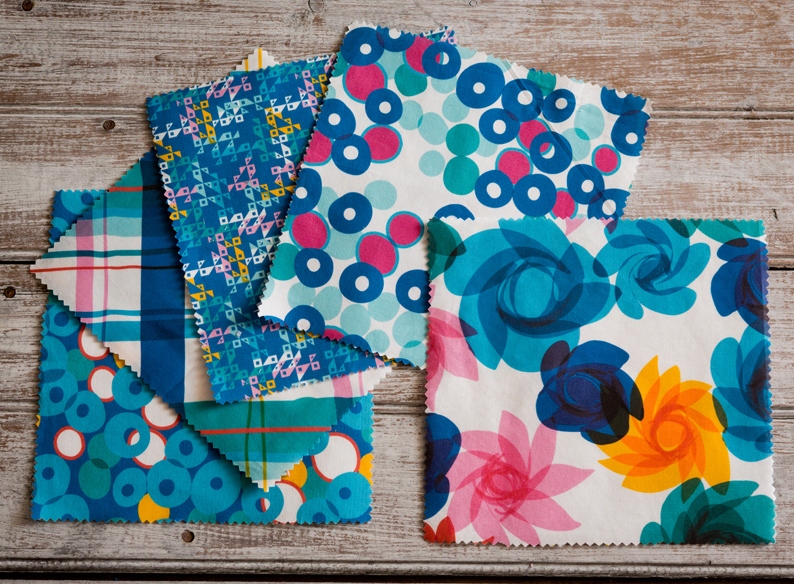 Prints from the Vintage Oceana collection available at Spoonflower. Cocktail Flowers collection in reds available on Spoonflower. Cocktail Flowers collection in blues available on Spoonflower. The Cocktail Flower collection in blues was done for a special request, as I initially only did the red colorway for this group. I like the combination of flat colors and overlapping areas of "blended" color, which is very easy to do with digital printing. 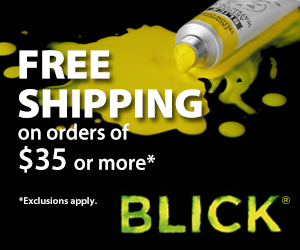 No color separations necessary! The photos below show two different fabrications in this print. The new Performance knit fabric is on the right and is distinctly more green in tone and more intense. Each fabric quality will looks slightly different when printed, so keep this in mind if you are wanting to print coordinating prints on different fabric qualities. Cocktail Dots blues-2 printed on Kona cotton. 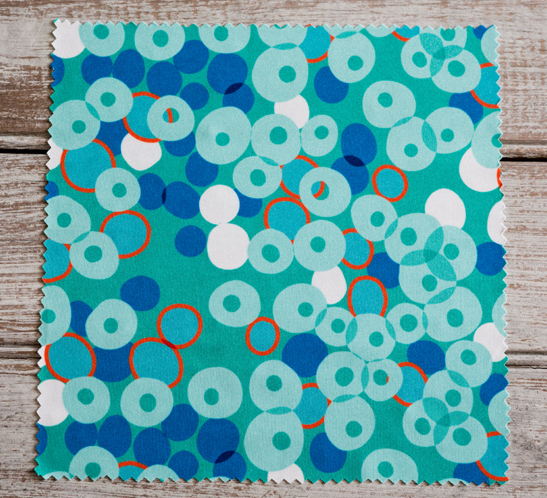 Cocktail Dots blues-2 printed on Performance Knit fabric. Cocktail Dots blues-2 in Kona cotton (left) and Performance Knit (right) for comparison. 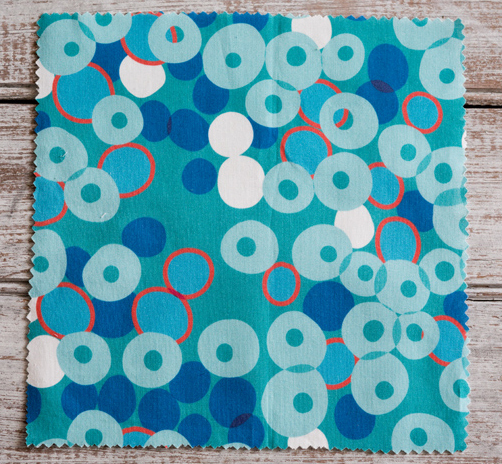 The Spoonflower site has more information about their different fabrics, which includes nice comparison photos as well as all the fabric quality information for each one to help you understand the differences.